Train the "Iron Cross" with 50% less body weight. 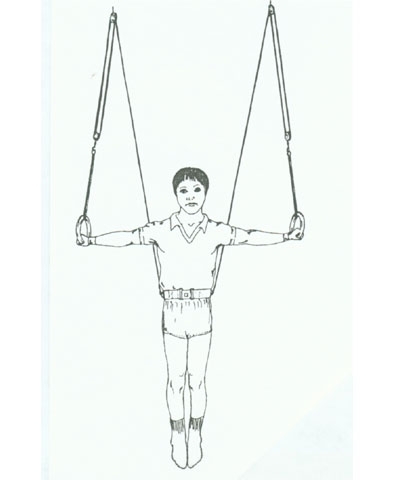 The Gymnastics Cross Ring Machine features a double pulley system on each rope to decrease the load by 50% on the gymnast as he trains various ring strength skills. 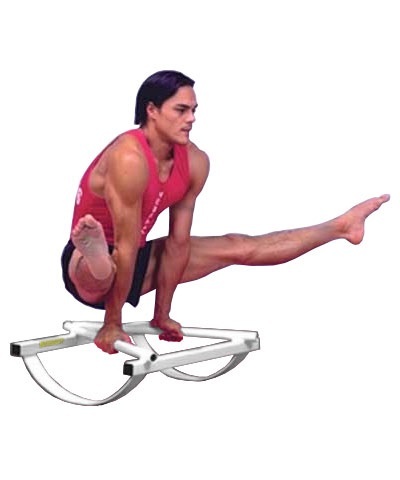 Train all cross positions, planches, press handstands and front and back levers. Includes 90' of nylon rope, 4 single pulleys, snap bolts and ring assembly. Requires an additional T106 spotting belt and I-beam Clamps (A141-4-9) which are not included. Can be secured to open web steel joist with chain sling and quick links. Includes complete intructions. Add $35.00 shipping.